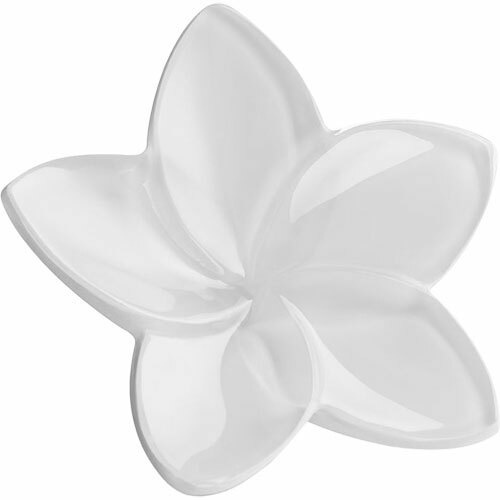 Baccarat Crystal Bloom Flower - White., 1.6 inches wide by 3.5 inches long. Baccarat Crystal Bloom Flower - Silver., 1.6 inches wide by 3.5 inches long. Designed by Jan Tesař, originally released in 2019, 1.6 inches wide by 3.5 inches long.